An unprecedented hoopla surrounding the latest issue of the appointment, and the subsequent dismissal, of a member of the Economic Advisory Council (EAC), has got many of us thinking. Many of us find it pertinent to have an idea of how do our parliamentarians fare when it comes to their qualification. After all, there has to be some bar of merit to which our representatives in the legislature must subscribe. Ideally. The information contained herein has been drawn from the Form B and Affidavits as annexed to the Nomination Papers submitted by the candidates for General Election 2018 to the Election Commission of Pakistan (ECP). So before we move ahead, I’d take this moment to point out that the responsibility of the authenticity of the data resides with the ECP. The 15th National Assembly (NA) was sworn in on August 13, 2018. Presently comprising of 330 members in the House, the Assembly has a representation of 12 political parties. 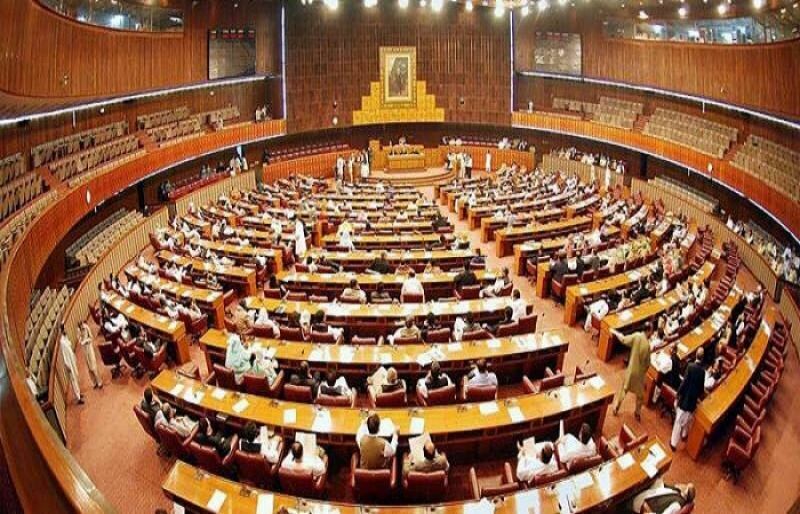 The largest party PTI has 48% of National Assembly’s General and women reserved seats in Punjab, 72% in KP, 26% in Sindh, 15% in Balochistan and 100% in ICT. PML-N obtained 45% of Punjab and 7% of KP seats. PPPP has 59% of Sindh, 4% of Punjab and 2% of KP seats. MMAP secured 30% of Balochistan and 14% of KP seats. Of the remaining seats, PML occupies four and AMLP one Punjab seat, respectively. The Balochistan seats have been divided among BAP (5), BNP (4), JWP (1) and an independent. In addition, ANP won one and independents two seats in KP. In Sindh, MQM got seven, GDA three and an independent one seat. The seats reserved for non-Muslims were distributed among PTI (5), PML-N (2), PPPP (2) and MMAP (1). Out of the 330 elected members of the House, four are qualified as Engineers and 18 legislators have degrees in the Medicine or Dentistry while six hold a Postgraduate Degree including two having a Doctorate Degree. Almost one third (116) of the legislators hold a Bachelors and 72 have a Masters’ Degree. 15 of the elected legislators are Intermediate certificate holders. While 24 of the respected parliamentarians are matriculation certificate holders. The Assembly also has one male and one female member registered as having literacy level of under-matriculation, while a female legislator has declared herself illiterate. 24 of the 330 members have chosen to withhold their literacy level information. The Prime Minister, PTI’s leader, Imran Khan holds a bachelor’s degree in Political Science. The leader of the Opposition, PMLN’s Shehbaz Sharif is also a graduate. The ‘aik Zardari, sab par bhari’ fame ex President and PPPP’s leader Asif Ali Zardari has only a Diploma (Intermediate level) under his belt. The newly elected President, Dr. Arif Alvi is a dentist by qualification. Who knows if this is so because he’s probably the one out of the ten dentists who don’t recommend Synsodyne. Don’t get worked up guys, this was only to prompt a toothy smile. Next, our current IT minister, who is also heading the MQM, Dr Khalid Maqbool Siddiqui has qualification of an MBBS physician. The Railways minister Sheikh Rasheed Ahmed, PPP’s Bilawal Bhutto Zardari and Pak Sarzameen party’s Mustafa Kamal – all three known for their fiery speaking prowess with sharply contrasting mannerism – hold a Masters degree each. As the new Assembly begins its journey, here’s to hoping that in the coming times our parliamentarians are known more for their qualification than for the amount of their evaded taxes!